The residents of our apartments in College Park have all the tools they need for a formal get-together. There are few things as comforting as enjoying good food with good company. We often think of this as a luxury only enjoyed at a restaurant, where costs can run high. 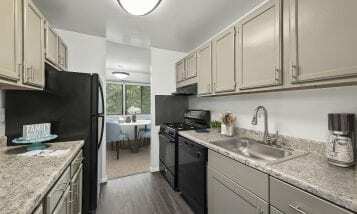 However, the residents of ROSS’ apartments in College Park can experience the joys of a great dinner gathering right inside their home. The separate formal dining room at Seven Springs Apartments is the perfect place to host your favorite people for a delightful dinner. 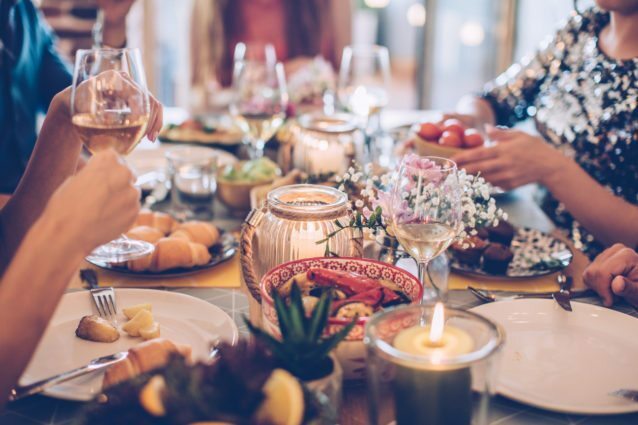 Here are some tips to make sure your dinner party is a success. Ask your guests about dietary restrictions and cook as much as you can the night before, so that you’re not rushing around when the clock ticks dinnertime. You want to be able to enjoy the night as much as your guests do! Get a little classy with your table decorations. A nice tablecloth, candles and a centerpiece of fresh cut flowers go a long way. Just make sure the candles are unscented and the flowers aren’t so tall that guests can’t see past them. Make sure your guests feel at home when they arrive. Put on some soothing music like jazz or your favorite playlist. Be sure to keep the volume low enough that people can talk at a normal volume and still hear each other. After everyone has enjoyed the food and conversation, offer dessert to round off the night. You can keep it simple with cookies or small pastries – and be sure to offer coffee or tea. Now that you know how to throw a dinner party that everyone will love, discover the apartments that make everyday a cozy gathering for you and your family. 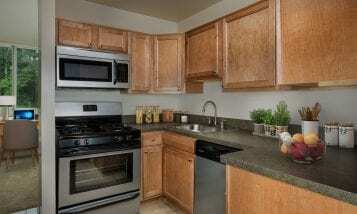 Stop by ROSS’ apartments in College Park for a tour today!